Also, we would be more then grateful to any suggestions as to software products and tools that would be good for our projects. As of now everything is done in Adobe Animate CC. A like, comment, email with suggestions or appreciation, a share, and a subscribe are all great ways to support us if you can't monetarily. We understand that everybody works and has to eat so any penny you send our way will not be misused or taken for granted. All of us here at team Chaos work full-time jobs and know the value of a dollar. 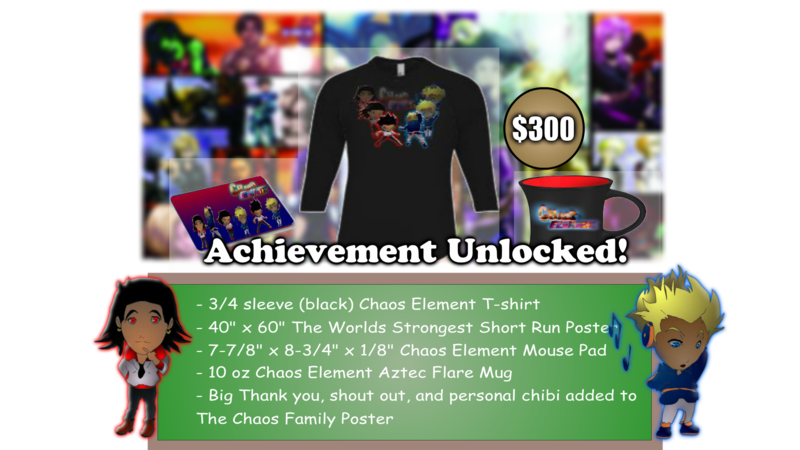 We have great gifts for our supporters and we mean to make it worth your while to be apart of the Chaos family. Recording vocals will be breeze with this software. Adobe Audition is one of the better programs used to manipulate audio. The price: $19.99 a month. Currently we software like Audacity, but this will help take our vocals and other audio to the next level.